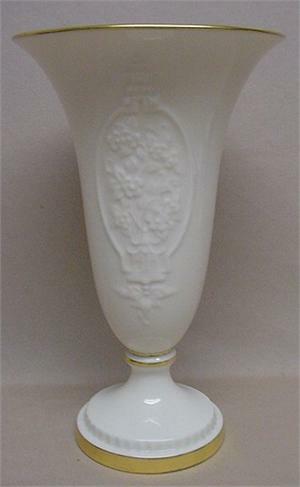 This is an 8 3/4" tall cream-colored vase with gold trim, made by Lenox. The front features a raised floral design, and the top opening measures 5 1/2" across. 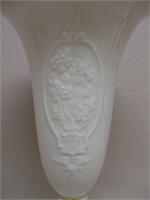 The Lenox stamp on the base is the older green mark (pre-1952).